SKU # MCBR-20, Charts & Carts - Workhorse Mobile Chart Binder Storage. 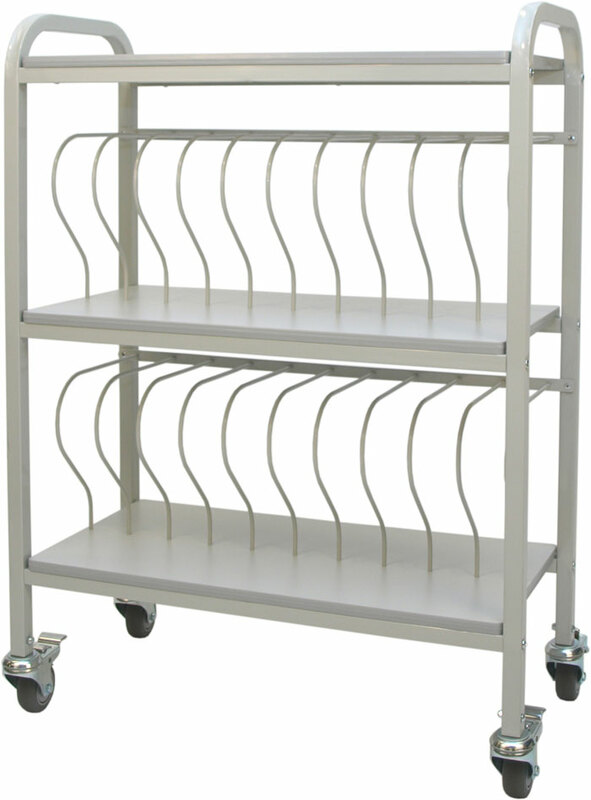 Charts & Carts' Workhorse Series mobile chart racks are ideal for hospital and long term care chart storage. The MBCR-20's design allows for clear identification and easy access. Features include: welded frame, platinum finish, binder organizers and a convenient work surface. It also features four 3" total lock casters and the rigid 1/4" rods securely support binders and charts. Holds twenty (20) 2" binders. This chart rack is shipped fully assembled.